Romania is a market of great potential to Vietnam’s exports like tropical fruits (fresh and canned), seafood (frozen and canned), coffee, pepper, cashew nut and pork, although the European country has a relatively developed agriculture, according to the Ministry of Industry and Trade. Besides the above-mentioned exports, others like machinery, electric and electronic equipment, furniture, textile products, footwear, synthetic yarn, construction materials and sanitary equipment from Vietnam are also enjoying good chances as Romania has a great need for those and Vietnam can compete with other providers in terms of both prices and quality, the ministry said. 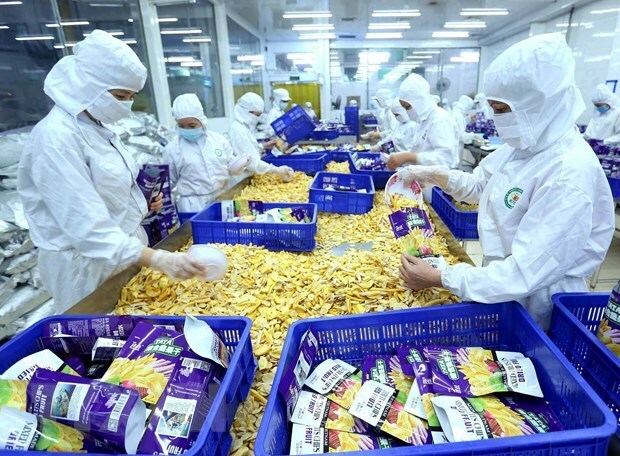 It pointed out another field Vietnam can capitalise on, namely labour, in the context that a large contingent of workers of Romany has migrated to other European Union (EU) countries. In the time to come, the European country will be short of about 1 million workhands. The recent amendment by the Romanian parliament of regulations on the minimum wages for non-EU workers as well as the signing of the bilateral memorandum of understanding on labour in November last year will facilitate Vietnamese workers in coming to work in the market, the ministry said. To further accelerate cooperation in the time to come, the two governments will strive to get the European Union – Vietnam Free Trade Agreement (EVFTA) signed and ratified. The two sides should also continue pushing up the exchange of high-level and ministry-level delegations to pave the way for bilateral trade, investment and labour export, ease the difficulties and remove bottlenecks for the businesses of the two sides, encourage and facilitate fact-finding tours and participation in fairs and expos in the time to come.